The meanings of nightmares are as difficult to discern as the meaning of dreams. Dreams and nightmares have several things in common starting with they both happen during the fifth stage of sleep - called Rapid Eye Movement (REM) sleep. During REM sleep your brain waves speed up from the slow speed they had during the initial stages of sleep. Your heart rate and blood pressure increases, your muscles flex (even if your legs become paralyzed for short periods of time) and men will even have erections. Dreams and nightmares also share many of the same causes. The dreamer may find that concerns, fears and uncertainties of their conscious life will manifest in their dreams. The person who is anxious or fearful about a situation in their life may find that their dreams have that same feeling of anxiety. The inability of a person to solve a problem may carry over into that person's dreams. A nightmare is a very frightening version of a dream. The dreamer will usually find their feelings of fear are intensified in a nightmare. They might be chased by a scary person or animal. They may find major drama that they cannot control such as buildings on fire or falling into a deep hole. An upsetting life situation from a dream can be turned into an active, heart-pounding, sweat-producing drama - this is a nightmare. Whether the nightmare is experienced by an adult or a child, one thing is always in common - the nightmare is reflecting the anxiety of the dreamer. The dreamers age may affect the details of the dream, but the root causes of the dream are the same regardless of the age of the dreamer. An adult may be aware of the anxiety levels they are experiencing consciously. Feelings of fear, anger, guilt or depression may be very strong when they are awake. When they are sleeping, their initial REM sleep cycles might manifest those feelings in vivid dreams. As the body relaxes and the night goes on, later REM sleep cycles might take those feelings and add a fear factor. For example, talking with people in uncomfortable situations during a dream can turn into a chase scene in a nightmare. Nightmares in children usually happen between the ages of three and six when a child's imagination is the most active. This is also the time when most children develop the most fears. Nightmares are frequently the way a child's mind will sort through an upsetting or confusion situation in a child's life. For example, a child might have a particularly frightening nightmare if the child feels upset or anxious about moving to a new neighborhood or school or if the child's family routine is changing because of parents divorcing or remarrying. A child's lack of life experiences tend to make them relate their upset to something they know something about. For example, they may not dream about evil people, but instead they will dream about evil animals or monsters. To understand the meanings of nightmares you need to spend time with the individual dreamers. The meanings behind the nightmares might start to become clear once the dreamer has shared with you what is and has been going on in their life, their concerns, their fears and their anxieties. A recent car accident can be causing vivid nightmares as the accident victim relives the fear of the accident. A recent war veteran may be reliving their wartime experiences. 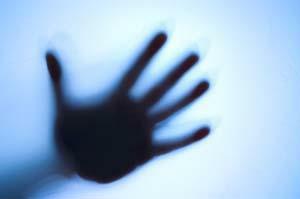 A person going through a divorce or financial problems may be feeling those anxieties played out in their nightmares. If the nightmare is being caused by fearful or anxious times in the dreamer's life, it is very possible that the nightmare will go away if the dreamer can resolve their fears or anxieties. Talking with a therapist can be very beneficial, particularly if the dreamer needs some help in identifying whether the scenes in their nightmare are related to the scenes in their nightmare. The more the dreamer can talk themselves out of the fear or anxiety, the greater the chance that the dreamer can stop their nightmares.